We recently made these awesome skateboard themed cupcakes for a "Sweet Sixteen". The chocolate and vanilla cakes featured vanilla buttercream frosting and skateboards constructed with taffy and juju beans. "Totally tubular!!" We love when our friends tackle any baking feat. Our fabulous friend Natalie made this delicious German Chocolate cheesecake for her love on Valentine's Day. Looks divine!!! 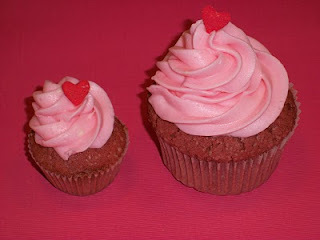 Do you have a baking accomplishment you're proud of and want us to share on the blog?? 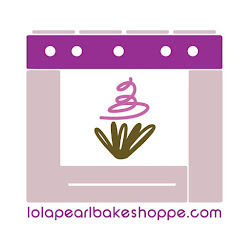 Email your picture to: askLP@lolapearlbakeshoppe.com! In case you were not aware, Valentine's Day is THIS Sunday! 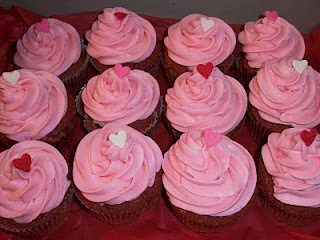 If you haven't gotten your special someone a Valentine treat, you must do so immediately!! Tonight, our alma mater, Nardin Academy held it's first Forum, gathering of a panel of influential Nardin graduates, discussing tricks of the trade, and how to succeed in your chosen paths. We had such a great time! It was a very inspirational meeting of the minds, and a great introduction for the young girls to the great women that have proceeded them in the halls of 135 Cleveland Ave. We were more than glad to serve our cakes at the event. We can't wait until next year! Want to create a similar look? We're loving This Shabby Cottage Chic Three Tier Cupcake Stand ! "Wish you were here!! xoxo"